This summer, Mullein is the habitat plant to catch my eye. I’ve seen it in gardens since I started this work in 2005, and often heard my colleagues who were also trained in ecology vaguely reference Mullein’s capacity to be a medicinal plant, and it’s ethnobotany uses. I looked into this today. 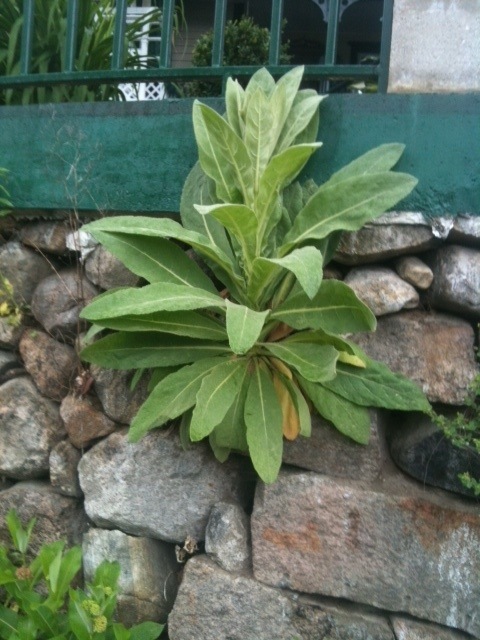 Many home owners want Mullein yanked out of their property, saying it is too “weedy.” It is not a native plant in the greater Saratoga region, or in the US at all. However, the habitat properties of the Mullein plant are exquisite, birds love the Mullein cone and seeds that are formed in the second year. A simple Google Image Search turns up dozens of lovely photos that clearly portray the food and shelter relationship between this plant and our songbirds. I encourage my clients, and other ecology minded gardeners: give the Mullein that might be growing in the recently disturbed sight by the mailbox or in between your daylilies a chance. Martha Stewart already RSVP’ed “no” to your 4th of July get-together; but the songbirds might be interested in visiting your garden, if thoughtfulness is used in habitat plant placement.